In 1983 two young entrepreneurs working at a travel agency were looking for an opportunity to interest more tourists in visiting Iceland when they came up with the idea of starting an international road race in Reykjavik. A year later the first run was held with 214 participants. These were natives and runners from seven other nations. Since then the Reykjavik Marathon has been held every year and now attracts around 13.000 participants with more than 1500 foreign runners taking part mainly in the marathon and the half marathon. In 2012 almost 13.500 runners participated in all six distances of the Reykjavik Marathon. 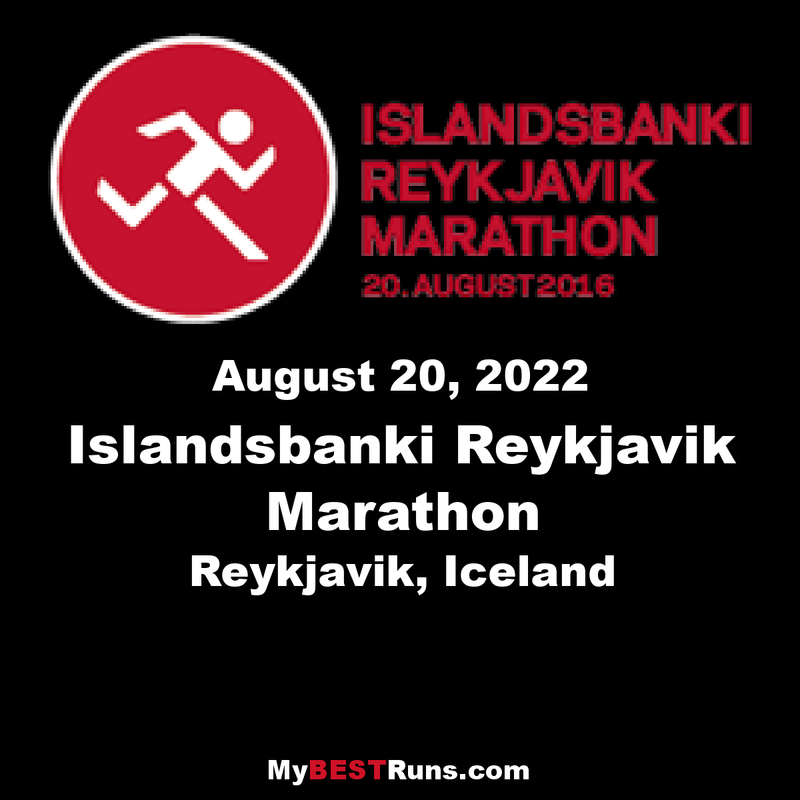 Reykjavik Marathon became a member of AIMS in 1984. AIMS is a member based organization of more than 300 of the world's leading distance races from over 85 countries. World famous runners have participated in our marathon, among those are Stefano Baldini, Frank Shorter, Hugh Jones, Grete Waitz, Waldemar Cierpinski and Fred Lebow. 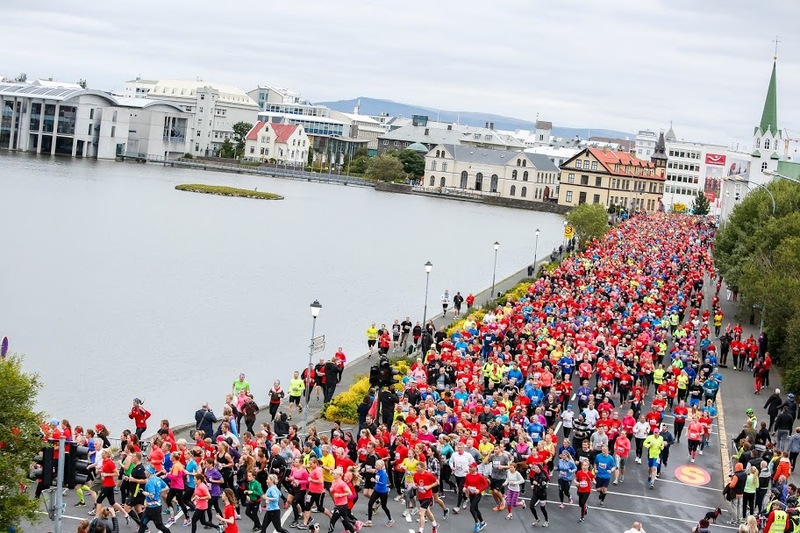 There are several obvious reasons for foreign marathon runners to pick Reykjavik, not least the fact that the running conditions are usually extremely comfortable – the route is smoothly paved and very flat, while the weather tends to be breezy and in the mid-teens centigrade. The atmosphere surrounding a race is also a hugely important factor for most runners, and the atmosphere at the Reykjavík race is electric. 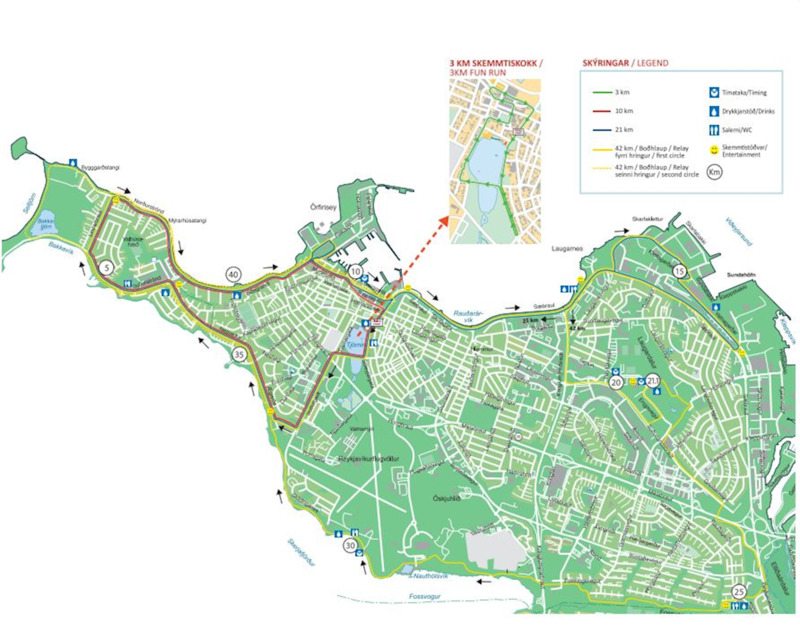 The course of the Reykjavik Marathon is unique, and very scenic. The marathon is one lap (except for the last part, as it goes nearly the same route as in the beginning of the race). The race starts and finishes downtown within sight of the pond and the city hall. The location is unbeatable, considering that a large number of hotels are within 5 to 10 minutes walking distance from the start of the race. The first part of the course runs through a residential area where many of the inhabitants come out of their houses to cheer the runners on. This is followed by a section where the runners pass along the seaside and have excellent views of the ocean, but also of the mountains surrounding Reykjavik, including Esjan and the Snæfellsjökull glacier. Participants in the marathon also run through the Elliðaárdal valley, the location of one of the country’s more popular salmon-fishing rivers, a small waterfall, and some woodland. In the last part of the race, the participants pass a number of famous buildings, including Höfdi House, a Reykjavik City Council reception venue where US President Ronald Reagan and USSR General Secretary Mikhail Gorbachev met for a summit in 1986. Most of the race takes place on the streets of the city, although parts of the route are run on tracks, particularly the seaside and salmon river sections. If the course record in the marathon or half marathon is broken a course record bonus will be paid. The bonus is 100.000 ISK for a marathon course record and 50.000 ISK for a half marathon course record. The record holders in the marathon are Ceslovas Kundrotas (LTU) 2:17:06 (male) and Angharad Mair (GBR) 2:38:47 (female). Benjamin Serem (KEN) is the record holder in half marathon male 1:04:09 and Martha Ernstdóttir (ISL) has the record in half marathon female 1:11:40.